18 Jun 1812 President James Madison signs the Declaration of War as passed by the House of Representatives and the Senate. The war would last almost three years. The most famous battle of the war will occur before word of the signed peace treaty reaches America. Do you have ancestors who are veterans of the War of 1812? The Indian Wars both before and after the Civil War? This summer the Genealogy Center will have classes on locating military ancestors that tend to be a bit more difficult. There are Genealogy Classes almost every week this summer. There are classes on U.S. Census records, Fold3 and Archives, Obituaries and more. Attend one of our classes and you may find a trick or two that allows you to identify that missing ancestor, military veteran or not, to break down that brick wall. In reviewing this past year I realize just how fortunate I have been. Working here in the Genealogy Center of the Plano Public Library and representing the Genealogy Center and library at outside locations has allowed me to meet a large number of wonderful people. Thank you to each of the family history researchers who have entered the Genealogy Center in 2017. Thank you to everyone who read and/or commented on my blog posts. Thank you to all who attended any of my presentations. 1) The Genealogy Center will continue to add published material to our collection. 2) Genealogy classes on various subjects will continue to be presented monthly. 3) The DNA Interest Group will meet monthly. 4) The staff of the Genealogy Center will be available for one-on-one assistance through the Book-A-Genealogy-Librarian service. 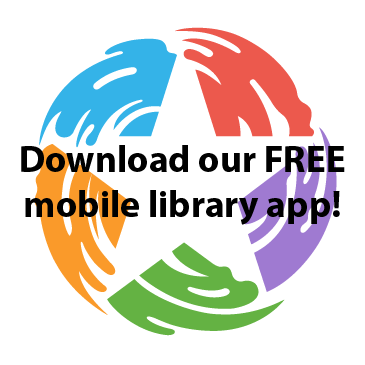 Please check the http://www.planolibrary.org site or the library’s ENGAGE publication for dates, times, and locations. I wish you all a very Safe and Happy New Year and look forward to your visits in 2018. As you continue your family history research…..
Plano’s FREE Genealogy Weekend – Is almost here. Friday and Saturday. October 21st is the Genealogy LOCK-In (12 noon to 11p.m.) at the Genealogy Center in the Haggard Library – 2501 Coit Road. October 22nd is The GreatFamilySearch (8-4) at the Church of Jesus Christ of Latter-Day Saints – 2700 Roundrock Trail. Both events are No Charge and come and go events. TWO days of Genealogy fun, classes and research at NO CHARGE. Make new friends, learn new ways to break down brick walls, find new resources to expand your research. Reunite with genealogists and family historians from Plano, Collin County, North Texas and beyond. Friday – October 21st – The Genealogy LOCK-IN at the Genealogy Center in the W.O. Haggard,Jr. Library, 2501 Coit Road. Saturday – October 22nd – The GreatFamilySearch at The Church of Jesus Christ of Latter-Day Saints, 2700 Roundrock. It is the middle of August but time sure does fly. October 21 and 22 fast approaches. Friday October 21st is The Genealogy LOCK_IN. Plan to spend the Day and EVENING at the Genealogy Center in the W.O. Haggard, Jr. Plano Public library. There will be classes available both on-site or by internet streaming; plenty of space to research using our collection and lots of volunteers to assist you in your research. NO CHARGE. Look for additional details in the near future. Saturday, October 22nd is the annual GreatFamilySearch at the Latter-Day Saint Family History Center on Round Rock Trail here in Plano. NO CHARGE. More details may be found at their website – http://www.greatfamilysearch.com. Two days of Genealogy classes, research, meeting old friends and gaining new ones. There is NO CHARGE to attend either event. Plan now for a wonderful Genealogy Weekend. Did you ever get so excited that you made a BIG mistake? Well that is exactly what I did. I failed to verify the dates for next year’s Genealogy Lock-in and Great Family Search. The CORRECT dates are October 21 – 22, 2016. Please correct your calendars and make plans for a wonderful – NO COST – weekend of Genealogy research, education and fun.